Beatrice Joliat from her 1927 AHS high school yearbook "Red and Blue". Beatrice Helen Joliat graduated at St. Vincent’s Charity Hospital School of Nursing, Cleveland and Indiana University with a B.S. in nursing. She has had distinguished service as a member of the United States Navy Nurse Corps, after experience in hospitals and as an industrial nurse. Her Navy service during World War II included mercy missions aboard ships providing help for wounded men. Service at the U.S. Medical Center in Bethesda, Maryland was followed by assignment to industrial plants throughout the U.S. to tell workers of their need in the war effort. 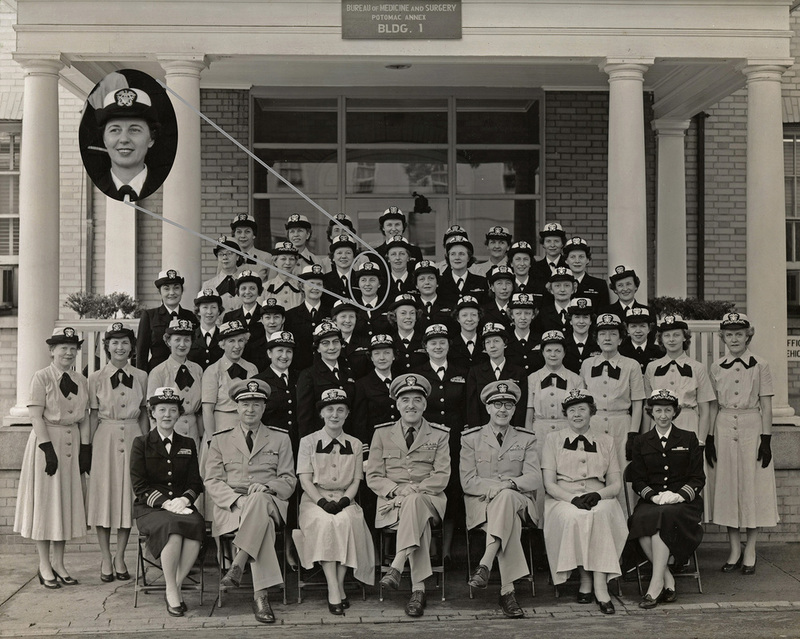 In 1945, at Cherry Point, North Carolina, Ms. Joliat served as director and taught the first American National Red Cross Volunteer Nurse Aide class in that area. After other service with the U.S. Navy, she retired in March, 1962. Her return to civilian nursing has included service to the ill in their homes. Biographical update: Beatrice Joliat passed away on December 26, 1976 and is buried in Saint Joseph Catholic Cemetery in Alliance, Ohio.